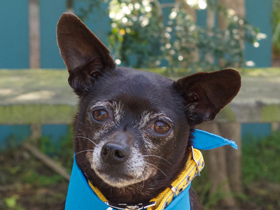 Our Helping Paw program assists seniors, hospice patients and other pet guardians facing challenging times in keeping their beloved dogs and cats, and provides a bridge to help them stay together as long as possible. 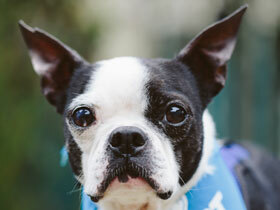 Our Helping Paw program provides volunteer assistance and financial assistance. The financial assistance program is generously funded, in part, by a grant from Animal Welfare and Assistance Group. Income: You must be receiving social security or disability, or be unemployed, or earn an income at or below poverty level to qualify for financial assistance. 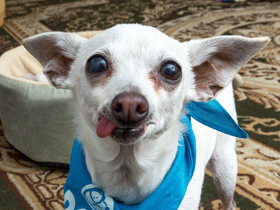 We cover: Urgent medical needs that will alleviate an animal's suffering. We cover expenses for cats and dogs. Must have exam and estimate: Your pet must have an exam and you must provide us with an estimate for care needed. In some extreme circumstances, we can cover the cost of the exam. Once-in-a-lifetime grants: We can help only once. Our financial assistance is meant to be a one-time safety net during difficult times. It is once in a lifetime per individual, regardless of the number of pets you have. We work closely with Max's Helping Paws Foundation and Birchbark Foundation. You may want to inquire with both of these organizations for assistance as well. Also, you can click here for more resources for financial assistance with pets. 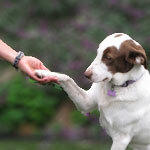 We provide: Dog walking, emergency foster care or boarding, transportation to vet or groomer. Geography: Monterey, Santa Cruz, San Benito County residents only. Income: There are no income restrictions for Volunteer Assistance. If you are unable to fill out an application or need more information, you can call us at (831) 718-9122. Please be aware that this will delay the processing of your request. We can provide the following supplies that have been donated to us, as available. They must be picked up at our headquarters in Pacific Grove. While Neva, a senior citizen, was hospitalized for several weeks, POMDR was able to provide temporary foster care for her Rat Terrier, Cierra. When she was able to return home and be reunited with Cierra, she wasn’t able to walk Cierra any more. POMDR volunteers provided dog walks for Cierra seven days a week so the two could stay together. When Sue, a senior citizen, had to have multiple surgeries, POMDR was able to provide temporary foster care for her beloved dog Casey. While Sue was recovering, POMDR volunteers walked Casey daily so she could live at home with Sue. Tristan and Crystal lost their home in the 2016 Soberanes Fire. POMDR provided temporary foster care for their little Frenchie, Ilie, while they took the time they needed to regroup and figure out where they would live while they rebuild. When Jane had a stroke, her family contacted POMDR to provide temporary foster care for her little poodle mix, Betsy. We arranged for visits with Jane while she was recuperating. POMDR took care of Betsy for six weeks until she could be reunited with Jane. When Josephine fell on hard times, she was unable to pay for vaccines and could not afford to get one of her dogs neutered. POMDR was able to help so she could keep Bear, Peanut and Bella with her. 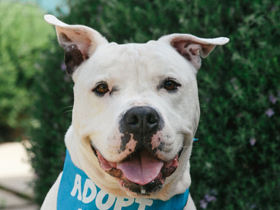 When Petey’s guardian had to have surgery with a lengthy recovery, POMDR provided temporary foster care until they could be reunited a few months later. Charlene was a victim of domestic violence. She ended up living at a friend's house, but was unable to keep her dog with her. Her 12-year-old Labrador ended up being impounded at the city shelter. Charlene was not in the position to take him back, and her beloved dog was at risk of being euthanized or sent to a rescue group where he would be re-homed. POMDR was able to board her dog for a week while Charlene secured a safe, stable new living situation with her parents in another part of the state. Bruce and his family ran into hard times financially and relocated from Georgia to California to accept a job offer here. With the expense of the move and starting over, they could not afford vet care for their senior dog, Layla. She had a skin problem that was making her miserable. They contemplated euthanizing her because she was suffering and they did not have the money to take her to the vet. POMDR was able to help with a $350 grant to have Layla examined and start treatment for her skin condition. "We were able to get Layla more shampoo and medicine. She is doing much better and is putting on weight and is very playful again. I will schedule a follow up appointment which we will be able to cover. We could never have done it without the POMDR Helping Paw Program to get that initial exam and tests. We are so very grateful. Thank you!" Sarah was struggling financially and ended up living in her truck with her dog for several months. When she finally had an opportunity to work a temporary job and earn some much needed money, POMDR was able to pay for doggie day care for her dog while she was at work. Sarah has since found a place to live and steady work. Gloria was diagnosed with advanced cancer. She had two dogs that she wanted to keep with her as long as possible. She also had two toads and two guinea pigs that she just could not care for any longer. POMDR arranged for new homes for her small pets and will be available to help care for her dogs and place them in new homes should the need arise. "I think your organization is a godsend. There are so many here who are older, and their older or abandoned pets need to be fostered and loved and cared for when their owner has become disabled or has died. You should be very proud of yourselves. This is a beautiful thing you are doing. I hope word gets out about your organization. It is a crucially needed service, not only for the animals, but for their people, too." Sharon, a senior citizen, was no longer able to get her little Yorkie out for walks. POMDR was able to help out with volunteers walking the Yorkie several times a week.